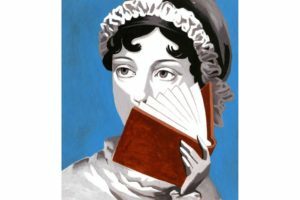 In “Pride and Prejudice” Jane Austen highlighted a truth not universally acknowledged when she made Elizabeth Bennett fall for the dark and brooding Mr. Darcy rather than for a sweet-tempered suitor like her sister Jane’s Mr. Bingley. Readers just love the bad boys. As Lady Caroline Lamb once said about her lover Lord Byron, it’s the men who are “mad, bad and dangerous to know” who set the heart racing.